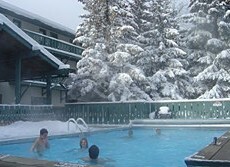 The 36-room Mackenzie Lodge is conveniently located right at the base of slopes and offers ski in/ski out accessibility. 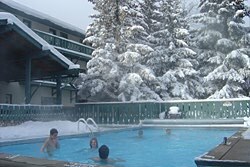 All rooms have two double beds and allow easy access to the outdoor heated pool (84 degrees), hot tub (102 degrees) and the new outdoor firepit. Guests of the Mackenzie Lodge will also enjoy the convenience of equipment storage lockers on the first floor. The storage lockers have built-in boot dryers and are keyed to match the room key. Dining options at Caberfae Peaks include Beatie’s Bar & Grill, R Dub’s Pub or the Blackmer Lodge Cafeteria.